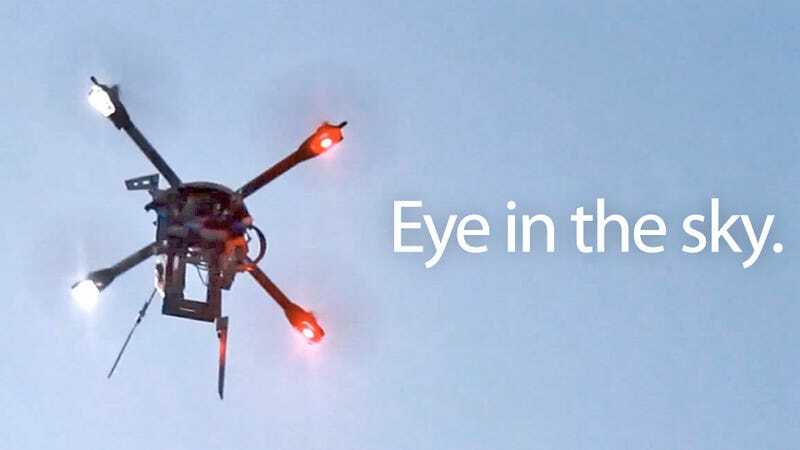 After perfecting them overseas in military situations, it was only a matter of time before the government and law enforcement would start using aerial drones for monitoring US citizens back home. And that time is now, as partygoers in Miami recently discovered. Back in January of 2011 Miami's police force acknowledged that they'd be the first in the country to employ camera-equipped drones to keep tabs on the city. So while its appearance isn't a complete surprise, this clip from YouTube user 'miamiearl' showing one of the drones monitoring partygoers at a recent Memorial Day weekend celebration, is still a little unsettling. Of course, police departments all over the country have used camera-equipped helicopters to watch over their jurisdictions for years now. But these remote drones are able to fly a lot closer to the ground, which has citizens worried that the privacy they've enjoyed for years, or at least the feeling of privacy, is in jeopardy.